Communication sophomores Kees Devos and Haley Hart share a meal at Edzo's Burger Shop. Edzo's will extend its open hours to 10 p.m. Tuesdays through Saturdays starting next week. After working as a luxury chef in places like Barcelona, Spain, and Bologna, Italy, Eddie Lakin opened Edzo’s Burger Shop in Evanston so he could make a living and still return to his family every night. But, starting Tuesday, things will be different. “My situation changed,” Lakin said. Since its opening in 2009, Edzo’s, 1571 Sherman Ave., closed at 4 p.m. Now it will close at 10 p.m. on Tuesdays through Saturdays. “We grew to the point as a company where it made sense for us to expand but stay with our quality and service,” Lakin said. The burger joint originally followed the model of Chicago restaurant Hot Doug’s, where the owner could oversee the operations of the restaurant but still “have a life” at home. Lakin said he decided to deviate from that model when the second Edzo’s was opened in Lincoln Park about a year ago. There were too many managers and not enough hours, and many people were requesting the restaurant be open for dinner. It therefore made sense to increase the number of hours of operation, Lakin added. The Evanston location is popular with Northwestern students, who will now have an addition to their local dinner options. 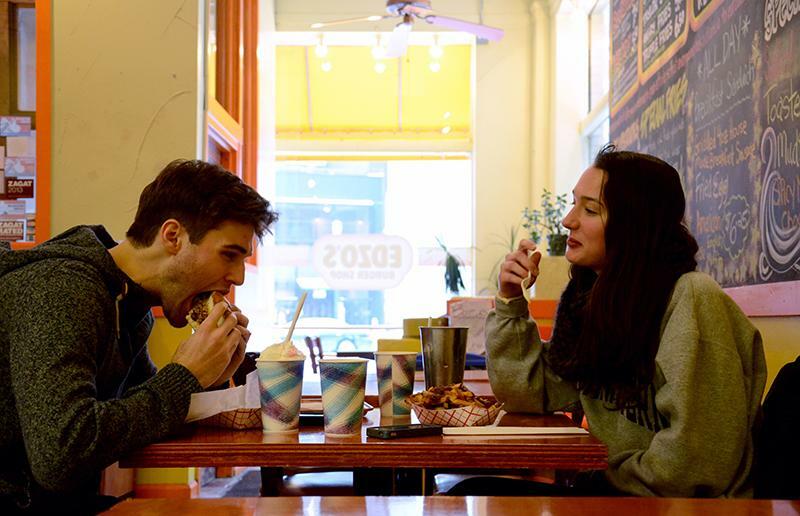 “There have been a few times where we’ll think to go to Edzo’s and realize mid-thought, ‘Oh, right,’ and have to choose someplace else,” Weinberg senior Mary McMahon said. Lakin also emphasized the importance NU played in his decision to expand the restaurant’s hours. Lakin ensured the restaurant would maintain its levels of quality with the expansion of operational hours. McMahon said she worked for a diner at home that successfully experienced a similar shift. “I think Edzo’s has a great system down that can totally handle the extra hours without lowering any standards,” she said. The restaurant will continue to remain closed on Mondays and close in the afternoon on Sundays. The imaginative side of the Edzo’s menu — including the lobster fries — will remain.